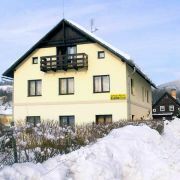 Apartments, 300m from the centre of the town Vrchlabí, in quiet location on the shore of river Labe. Apartments … More » give you the independence, comfort and privacy. 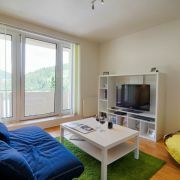 Let us introduce you to our high standard apartment situated in a quiet part of the centre of the mountain town … More » Pec pod Sněžkou, available for a reasonable price. With the desired calm, laidback atmosphere, it is the perfect place for your holiday. A parking spot by the house and a lockable cubicle. 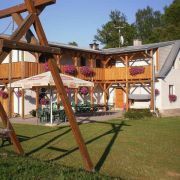 Accommodation in comfortable, quadruple family-type apartments (2+kitchenette) by ski slopes and lifts of Špindlerův … More » Mlýn Ski Resort. 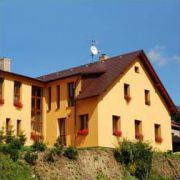 Ideal for families with children, sunny location for SE orientation. Kitchen/dining part, bedroom, bathroom, balcony, garage, DVD, TV/sat, HiFi, minibar, WiFi. 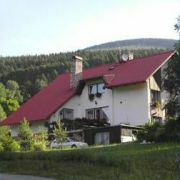 Apartment in Ginat Mountains, in Horni Rokytnice, is great for family recreation all year around. 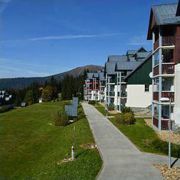 Apartment is … More » fully furnished, including kitchen, it is right next to slopes, rent of skies, ski schools, sauna and massages. 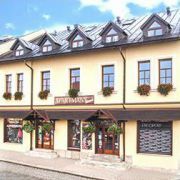 Accomodation is in apartments, which are situated in the centre of Dolni Rokytnice. Apartments (flats) have 3–5 … More » beds with fully equipped kitchen, bathroom, toilet and TV. 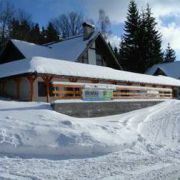 Ski resort Studenov is not so far. !! 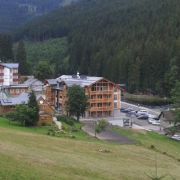 !NEAR slopes!!! Spacious and comfortable apartments with different size (3-10 beds), living room with kitchenette … More » , separate bedroom and bathroom. 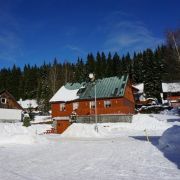 220 meters from the ski-bus stop. Breakfast possible by agreement. Free parking by the building, easy access by car or by bus. 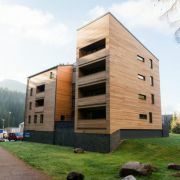 The apartments take a part SKiMU Sport Centre, accommodation and sports complex in the heart of village Mala Upa … More » in the Eastern Giant Mountains. The 10 furnished apartments can accommodate up to 52 people. We offer four-bedded and six-bedded apartments with fully equipped kitchen. Spacious, stylish equipped apartments with large terrace, in quiet location near the centre of town. 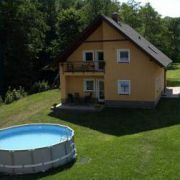 Only 350m … More » to ski slopes and aquapark. Bathroom with tub, kitchen and dining area. Ideal for families with children. 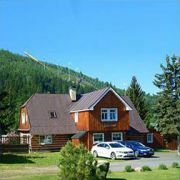 We offer also accommodation in Apartments Horni Misecky, close to ski lifts. Superior fully equipped apartments with the possibility of wellness procedures in Relax studio in the house - massages … More » , cosmetics, pedicure etc. We also have a Guest card with various discounts for our guests. 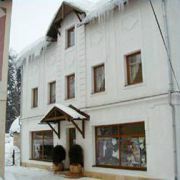 Family hotel with high standard equipped apartments. Own parking place direct by house (free of charge). Apartments … More » have 1 bedroom, living room with kitchen and bathroom with WC. The area about 50qm. Ideal for 4 persons + 1 additional bed. 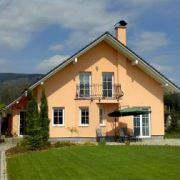 Accommodation in two separate apartments (max.4+7 persons) in new reconstructed house near the centre of town Vrchlabí … More » . Every apartment has equipped kitchen, sanitary facility, TV/sat. Quiet location, secure parking by the house. Garden with a sitting over the fire, grill. Bike- and skicustody. 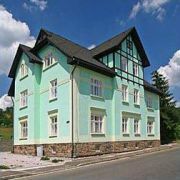 4 family apartments (by Skoda family) in Horni Rokytnice. 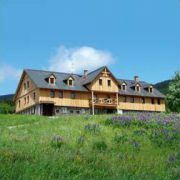 Newly built in year 2006, 3-6 beds, 900m from the chair … More » lift to mountain Lysa hora, 20m from restaurant. Each large apartment has bathroom with WC, fully equipped kitchen, TV, Internet and parking place by house. Decent prices. 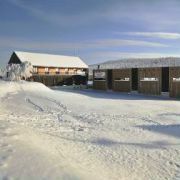 We offer accommodation in pictorial mountain-village Benecko. 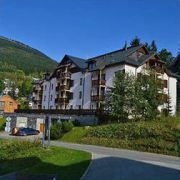 5 apartments for 2 or 4 persons (4x apartment with … More » 4 beds, 1x apartment with 2 beds for handicapped). Pets are allowed. Free parking in front of house. 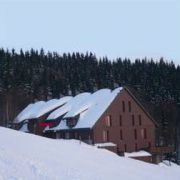 Ski-room. 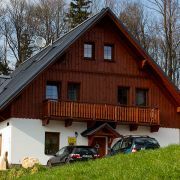 We offer comfortable accommodation in the heart of the Giant Mountains in two apartments of Svadlenka cottage, … More » right on the black slope in ski resort Horni domky in Rokytnice Jizerou. 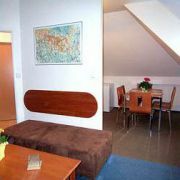 Small apartment for 1-4 persons. 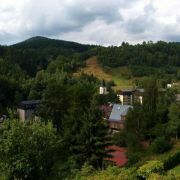 Large apartment with balcony overlooking the valley for 1-8 persons. 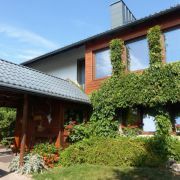 2 superior apartments in the new house in quiet center of Pec pod Snezkou, completely furnished and equipped, with … More » large terraces, private ski room, garage, WiFi, elevator, possibility of breakfast/half board at cozy restaurant, ski bus 30m, chair lift to Snezka 500m, view of the lake, forest.